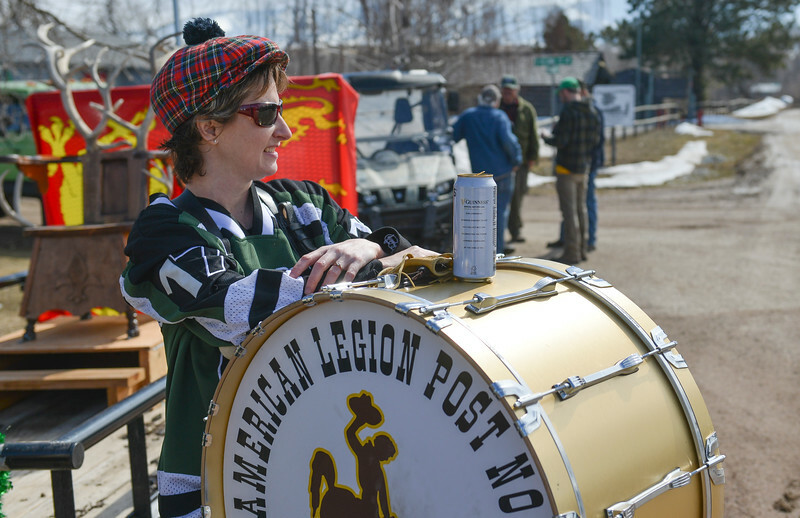 Miranda Connell waits with her drum during the annual St. Patrick’s Day parade in Big Horn Saturday, March 17, 2018. Residents of the unincorporated town of Big Horn take pride in their impromptu “shortest parade in the world” every St. Patrick's Day. 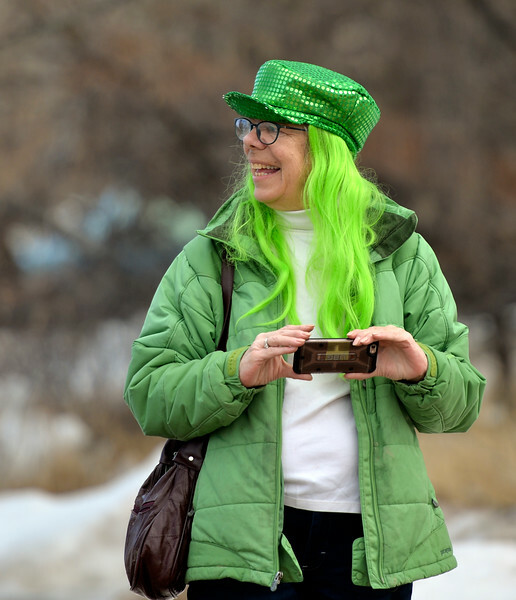 Kate Sheehan visits during the annual St. Patrick’s Day parade in Big Horn Saturday, March 17, 2018. Residents of the unincorporated town of Big Horn take pride in their impromptu “shortest parade in the world” every St. Patrick's Day. 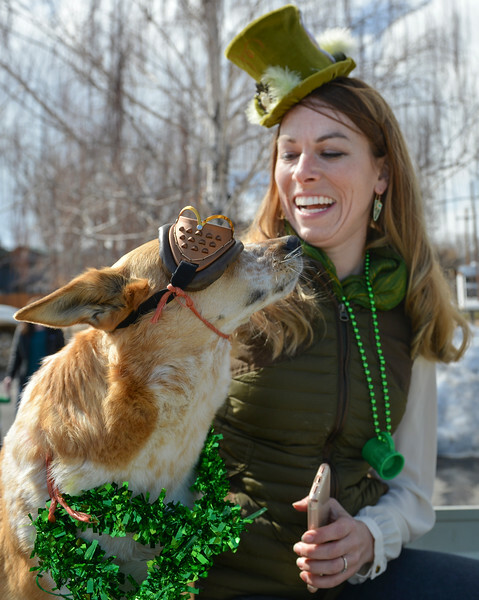 Candace Swanson enjoys her dog Francis in the back of a float during the annual St. Patrick’s Day parade in Big Horn Saturday, March 17, 2018. Residents of the unincorporated town of Big Horn take pride in their impromptu “shortest parade in the world” every St. Patrick's Day. 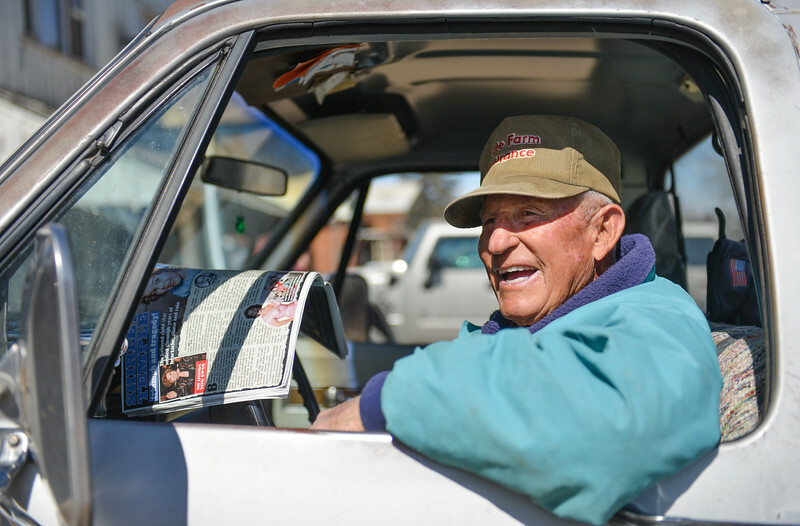 Big Horn resident Bill Valdez waits in his 1971 Chevrolet pickup during the annual St. Patrick’s Day parade in Big Horn Saturday, March 17, 2018. Residents of the unincorporated town of Big Horn take pride in their impromptu “shortest parade in the world” every St. Patrick's Day. Jacob Townsend visits during the annual St. Patrick’s Day parade in Big Horn Saturday, March 17, 2018. Residents of the unincorporated town of Big Horn take pride in their impromptu “shortest parade in the world” every St. Patrick's Day. 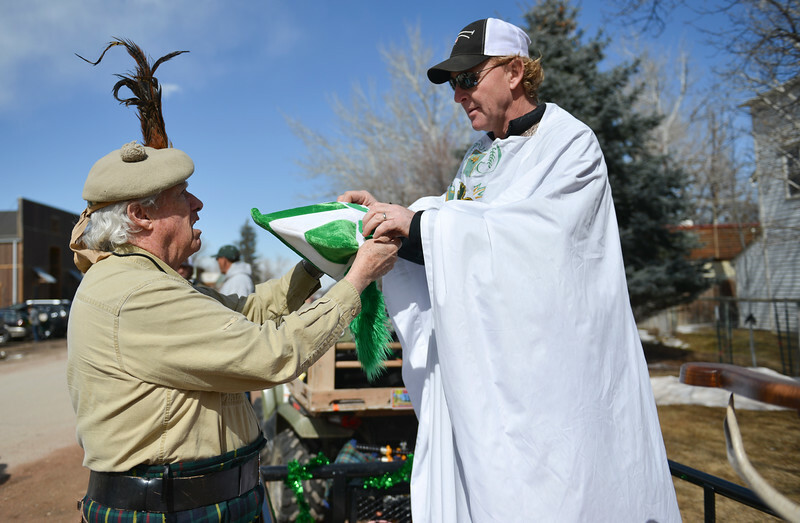 Doug Sheehan, left, offers the St. Patrick costume to Tad Chenoweth during the annual St. Patrick’s Day parade in Big Horn Saturday, March 17, 2018. Residents of the unincorporated town of Big Horn take pride in their impromptu “shortest parade in the world” every St. Patrick's Day. 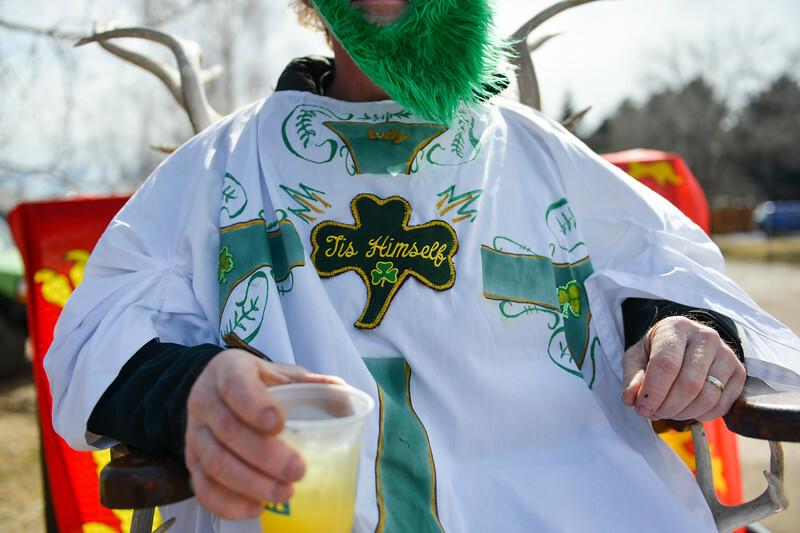 Tad Chenoweth, as St. Patrick, enjoys a drink during the annual St. Patrick’s Day parade in Big Horn Saturday, March 17, 2018. Residents of the unincorporated town of Big Horn take pride in their impromptu “shortest parade in the world” every St. Patrick's Day. 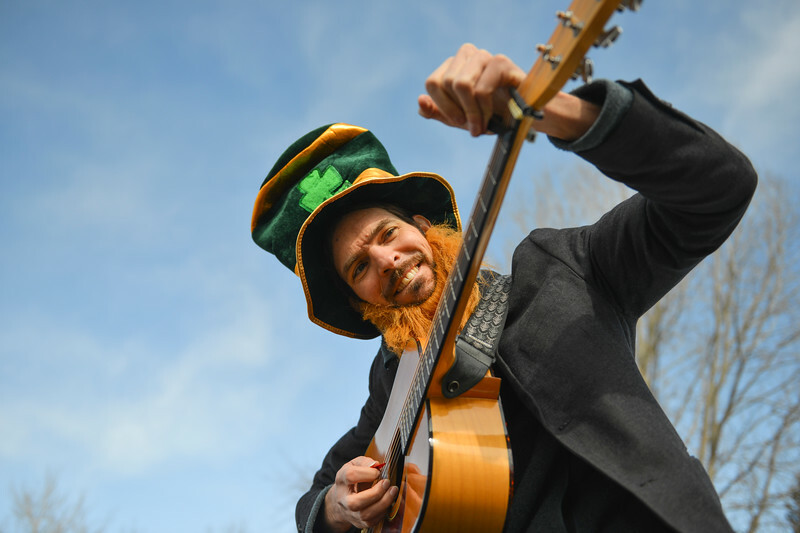 Traditional Irish musician Jon Sousa clamps his guitar during the annual St. Patrick’s Day parade in Big Horn Saturday, March 17, 2018. Residents of the unincorporated town of Big Horn take pride in their impromptu “shortest parade in the world” every St. Patrick's Day. 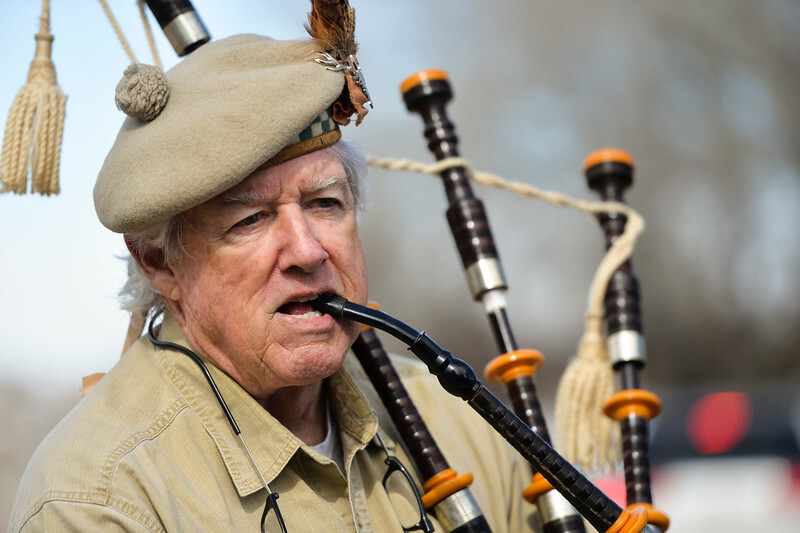 Doug Sheehan plays the bagpipes during the annual St. Patrick’s Day parade in Big Horn Saturday, March 17, 2018. Residents of the unincorporated town of Big Horn take pride in their impromptu “shortest parade in the world” every St. Patrick's Day. 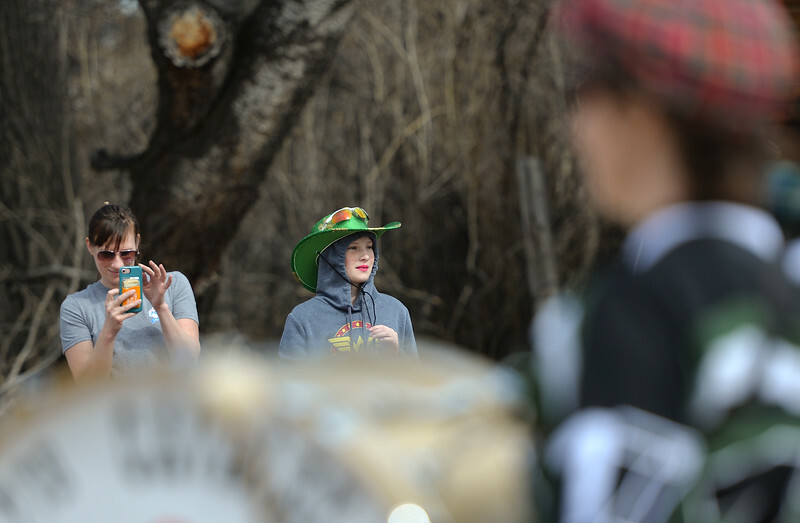 Kayla Graves, left, and daughter Morgan Graves, 11, watch the annual St. Patrick’s Day parade in Big Horn Saturday, March 17, 2018. Residents of the unincorporated town of Big Horn take pride in their impromptu “shortest parade in the world” every St. Patrick's Day. 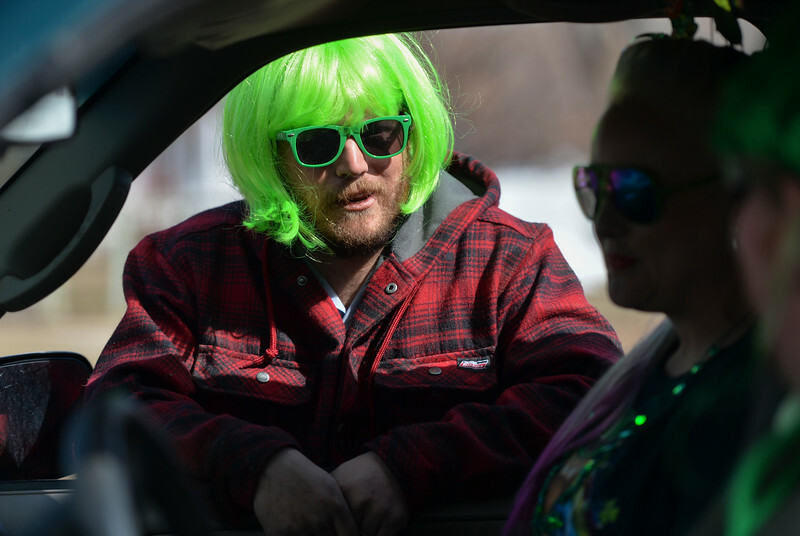 Ryan Sanke, left, marches with Kate Sheehan during the annual St. Patrick’s Day parade in Big Horn Saturday, March 17, 2018. Residents of the unincorporated town of Big Horn take pride in their impromptu “shortest parade in the world” every St. Patrick's Day. 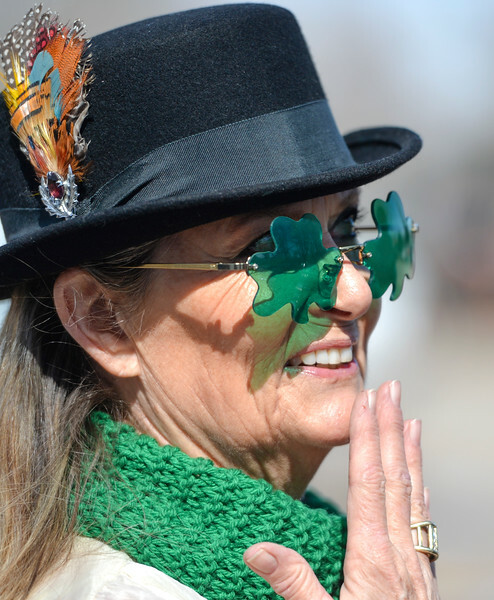 People watch the annual St. Patrick’s Day parade in Big Horn Saturday, March 17, 2018. Residents of the unincorporated town of Big Horn take pride in their impromptu “shortest parade in the world” every St. Patrick's Day. 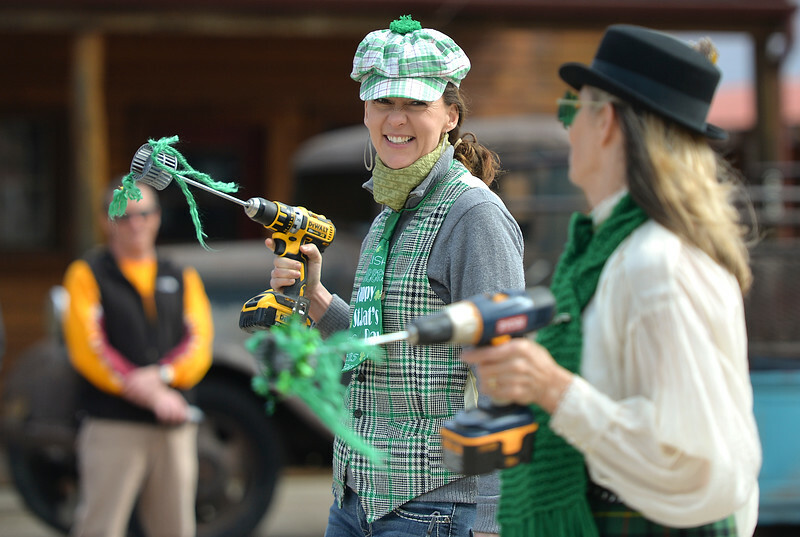 Susie Cannon snaps pictures of the annual St. Patrick’s Day parade in Big Horn Saturday, March 17, 2018. Residents of the unincorporated town of Big Horn take pride in their impromptu “shortest parade in the world” every St. Patrick's Day. 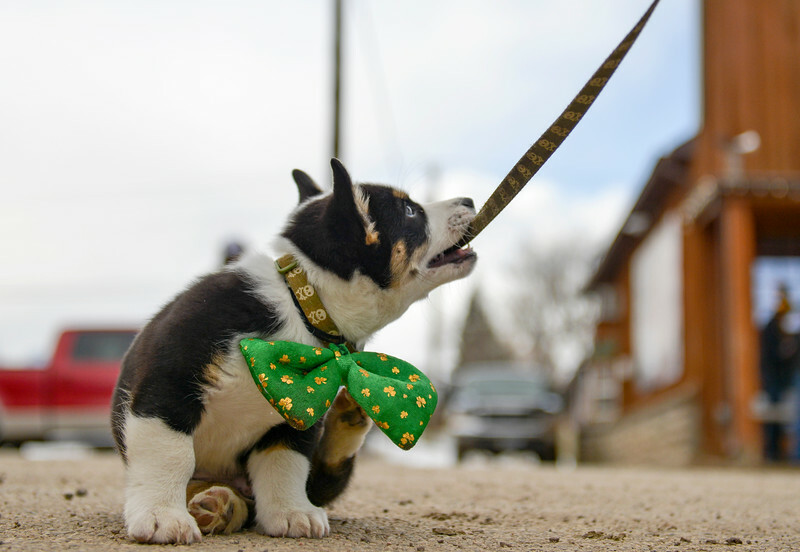 Nine-week-old corgi named Gordo plays with his leash during the annual St. Patrick’s Day parade in Big Horn Saturday, March 17, 2018. 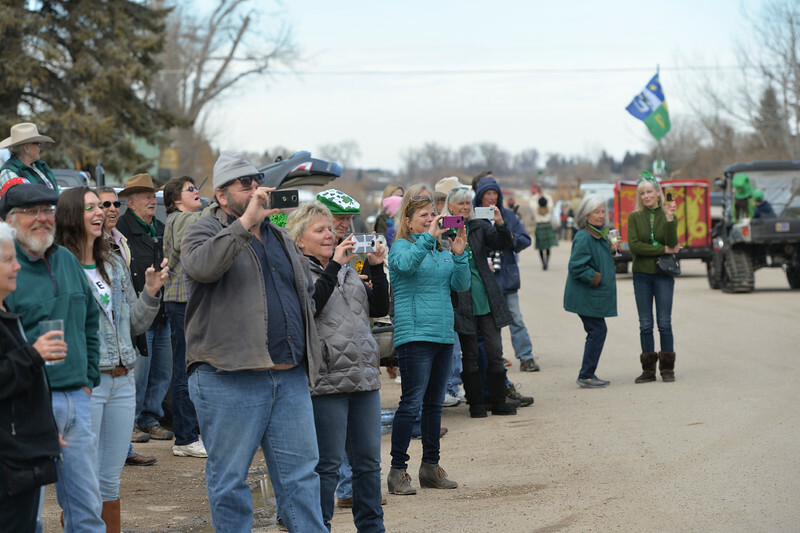 Residents of the unincorporated town of Big Horn take pride in their impromptu “shortest parade in the world” every St. Patrick's Day.